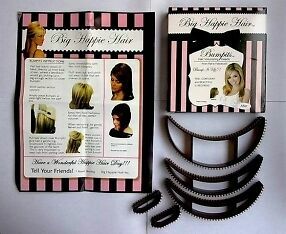 Bumpits volumizing inserts - FLAT to FABULOUS hair! Bumpits Hair Volumizing Inserts. Bump It Up With Bumpits Hair Volumizer. There are three types of Bumpits — the Mini Bumpit, Medium Bumpit, and the Large Bumpit/Hollywood Bumpit. Immediate payment of RM 27.50 is required.